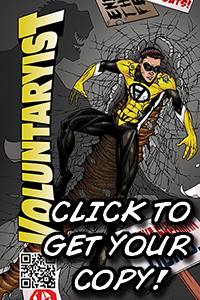 I wanted to let you know that most all Voluntaryist perk orders have been shipped. You should see your perk in the mail come this week or next if in the U.S. If outside the U.S., within the month. It feels good to know that you got your perks and I love showing off the comic treasure! In the process of working through the orders, I noticed that there were a couple of you who only did a donation, i.e., did not select a perk. 1.) 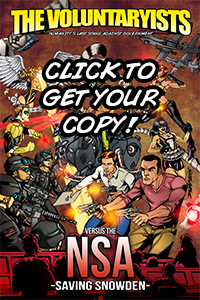 Contributed toward the campaign with a printed comic perk amount. Please message me at mr.voluntary[at]gmail.com using the e-mail you made your contribution with for the campaign. I will fulfill the comic perk you would have received if you accidentally selected “donation” instead of “perk.” E-mail me with your campaign order name and mailing address by November 10th to be counted. I cannot process anything beyond this Friday, November 10th. AGAIN – Thank you so much everyone for helping to make this issue the best yet! 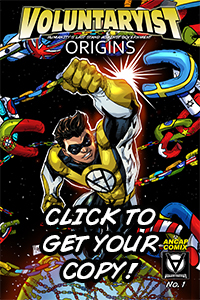 I am proud to say that Voluntaryist Origins is the canon origins story I had hoped to start with from the beginning. While the past issues were a lot of fun and were important to flesh out the future of the series, I needed the groundwork laid, and this issue is IT! 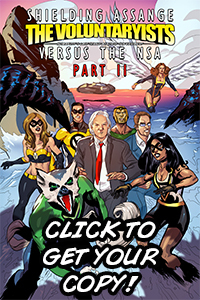 From here on out, I will be working to continue the chronology, so please stay tuned on the Facebook page and on the website: http://volcomic.com, to find out when the next comic campaign launches to continue the story for part 2. 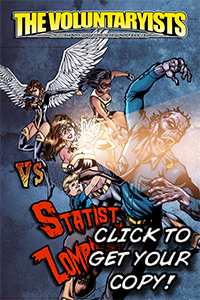 I cannot wait to share what Voluntaryist adventure unfolds next!